Is he a serious Autobot brawler? Oh boy! Get ready for Bumblebee! He's one of the top Transformers, but he's not just a battler, he's got a sweet side, too. And a bit of a funny bone! So, he's a great choice for any kid to look up to as a hero. And even better? When a kiddo gets to suit up as the legendary Autobot. So, yes. Oh, yes. It's time for them to become Bumblebee! Any boy or girl will love suiting up as a souped-up Transformer, and it's an easy transformation with this Prestige Bumblebee Costume. Because this ain't your simple slip-on costume. This one's got all the bells and whistles! 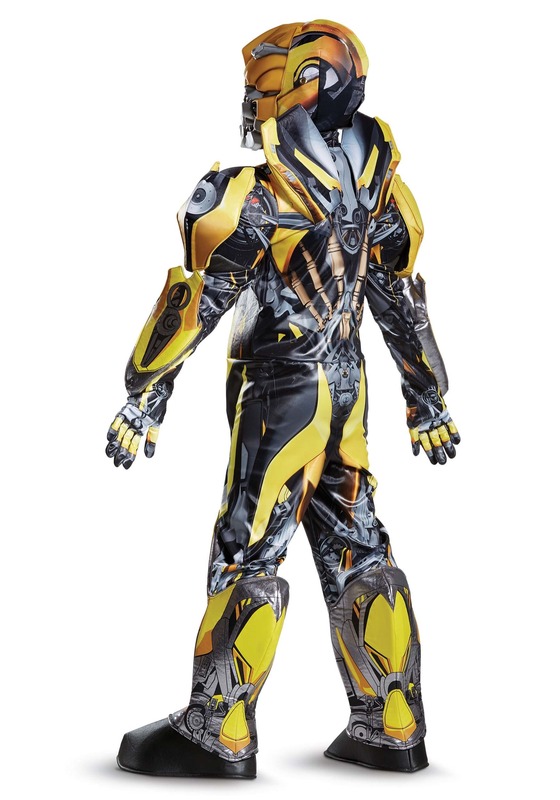 Fully printed details and foam pieces make the wearer a formidable opponent for any bad guy, and face it, it'd be pretty nice to have a Transformer in your family, working to keep the neighborhood nice and safe. Well, all you gotta do is get your kid into this costume! 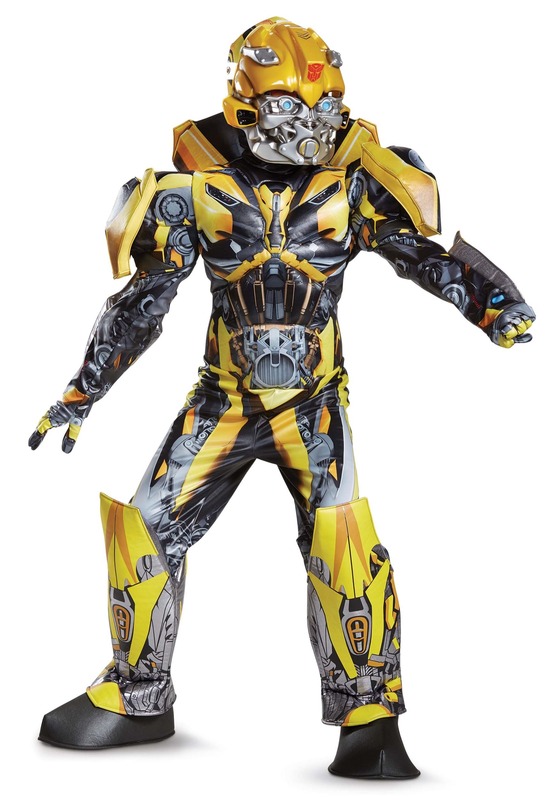 This Transformers 5 Bumblebee Prestige costume is officially licensed from the latest movie. It's a 100 percent polyester jumpsuit that secures with a zipper in the back. And it has some serious armor upgrades! Attached padded shoulders and back pieces recreate the CGI appearance of Bumblebee from the movie. Padded boot tops, padded muscle chest and arms, and printed gloves complete the intense effect. And it has an attached plastic face mask that flips up when it's snack time! Maybe you're an expert on the Transformers, or maybe your kid is! Either way, we're sure you'll agree that it's time for him or her to become an Autobot! Just get 'em this costume, and sit back and watch the fun unfold. This is gonna be a great Halloween!